There are 10 Uganda National Parks plus several games reserves, wildlife reserves and sanctuaries on which the country’s tourism thrives. 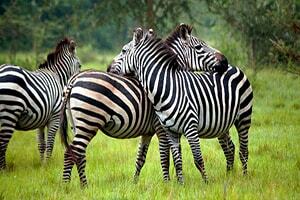 All combined, Uganda National Parks are the ones that define Uganda Safaris and Tours activities. Several safaris in Uganda take place in these park that are evenly distributed and represented in almost all regions of Uganda. Notable among these parks is Bwindi Impenetrable National Park and Mgahinga National Park which inhabit Uganda’s treasured animals, the ‘Mountain Gorillas in Uganda’. 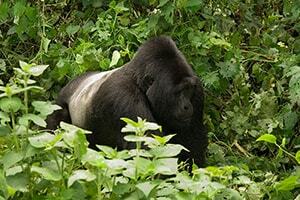 Gorilla Safaris and gorilla tours combined contribute significantly to Uganda Tourism earnings very year. Other prominent parks include, Queen Elizabeth, Murchison Falls, Lake Mburo, Semuliki and Kidepo National Park where much of the Uganda Safari activities are done throughout the year. Kibale National Park is notable for Chimpanzee Safaris in Uganda, as the park has one of the highest concentrations of chimpanzees in the East African region. Mount Rwenzori National Park and Mount Elgon National Park are notable for climbing and nature activities mainly for adventure tour lovers. Bwindi Impenetrable National Park found in southwestern Uganda is a home to the endangered mountain gorillas in Uganda. Out of about 1000 gorillas in the world, the park has half the number. Gorilla Trekking, nature tours, birding, community walks are among the activities at the park. 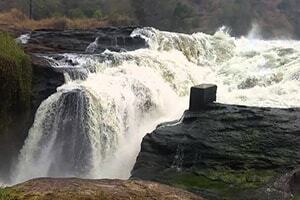 Murchison Falls National Park is the largest park in Uganda covering 3,893 Sq Kms under the Murchison Conservation Area. The park is comprised of Bugungu & Karuma Wildlife Reserve plus Budongo Forest. Game drive, boat cruise & hiking to the top of the falls are the main activities. 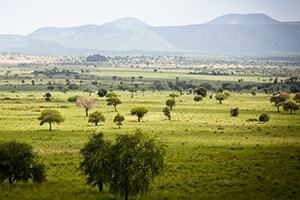 This is the second largest game park in Uganda occupying 1978 sq Kms. The park that comprise of Kazinga Channel, Ishasha Sector, Mweya Peninsula, Kyambura Gorge, Maramagambo forest & Kasenyi has wildlife safaris, nature walks, chimp trekking and boat cruise as the major tourist activities. 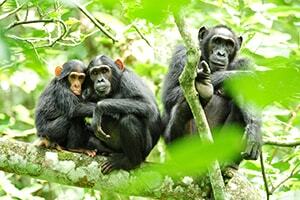 The park is found in Kibale district and is a home chimpanzees and a variety of monkey species and birds. Occupying 776 square kilometres, the tourist attractions is a home to 13 primate species. Chimpanzee tracking, birding & nature walks are the major activities. 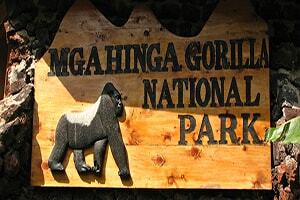 Found in south western Uganda in Kisoro district, Mgahinga National Park is a habitat to the mountain gorillas and Golden Monkeys. Gorilla tracking, nature walks and hiking adventures are the major safari activities at 33 sq kms park. Lake Mburo is the largest of the five lakes which, together with the surrounding wetlands, constitute 20% of the park’s surface of 260 square kilometres. 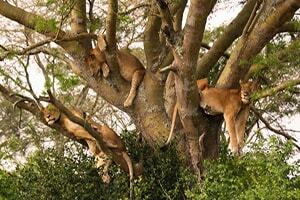 Lake Mburo National Park is a home to many variety of wildlife animals and birds. Kidepo Valley National Park covers an area of 1,442 square kilometres in the rugged, semi-arid valleys of Karamoja pregion near South Sudan and Kenya border. The park is known for spectacular views plus a variety of animals and birds. 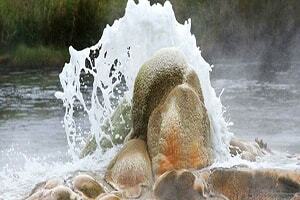 Semuliki National Park occupies 220 square kilometres. Located about 50 kms from Fort Portal town, Semuliki has got lots of animals and plants. The park’s fascinating attractions include Sempaya Hot Springs, forests, birds and primates. 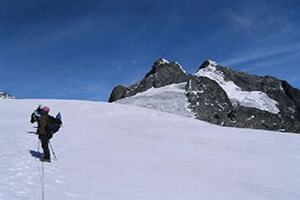 Rwenzori Mountains National Park is the highest mountain range in the whole of Africa. The physical feature has six glacial peaks including Mount Speke, Mount Stanley, Mount Gessi, Mount Emin Pasha, Mount Luigi da Savoia and Mount Baker. 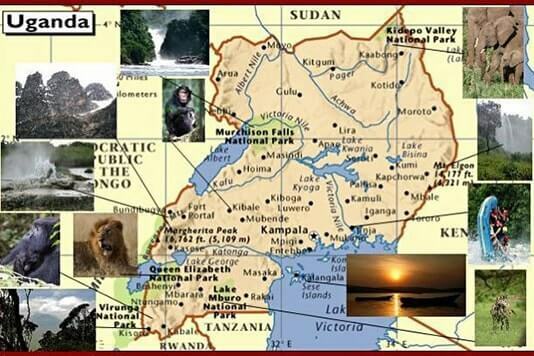 The park is found in Eastern Uganda inear Mbale and lies across the Kenyan border covering 1,145 sq kms. 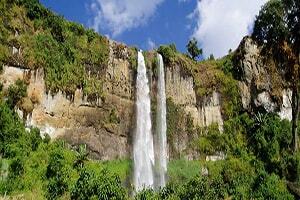 Mount Elgon has several water falls like Sipi Falls and Sisiyi falls among others. Hiking and nature walks are the ideal activities.